Overview of our capabilities and the services we offer. With over 1,000 years of combined design experience, our senior design team has the ability to focus their attention on details and quality to support projects of any size and complexity across all market segments. Our goal is to become a seamless extension of your own engineering team and provide unparalleled value with our relentless passion for quality, performance and customer satisfaction. Our engineers have experience with the full product life-cycle across multiple market segments. We utilize leading CAD platforms such as AutoCAD Inventor, SolidWorks, and Pro/ENGINEER Wildfire. We have a dedicated manufacturing team to manage all of your prototype requirements, from parts procurement to fabrication and assembly – a complete turnkey solution with a single point of contact. Our proprietary DART™ software intelligently migrates complete PCB data, schematics, constraints, and outputs all information, along with performing data validation and verification of data integrity. With our extensive experience in SI, we will work with you at the beginning of the design to mutually determine the practical level of simulation required for your specific board to mitigate the risk. We perform DFM and Valor checks on all FCS designed products using Valor’s Enterprise 3000 software. We also offer DFM and Valor services for designs done outside of Freedom CAD. Freedom CAD is the leading supplier of reliable and well-trained engineering contractors, consultants, and designers to meet the on-site requirements of customers across all market segments. 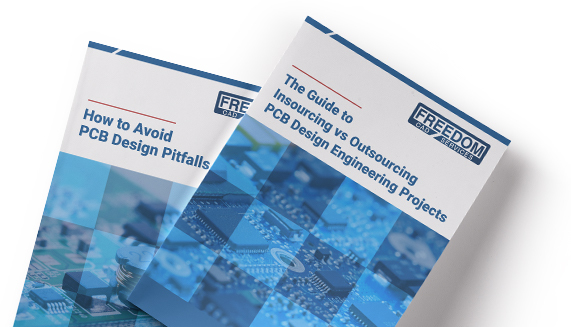 Our approach combines comprehensive PCB library services with our unique DART™ translation technology to provide the most thorough, accurate, and cost effective library solutions available today.